We are pleased to announce the publication of the most recent outcomes for mood disorders at American Clinic Tokyo at the Royal College of Psychiatrists International Congress in Birmingham, the U.K., on Wednesday, June 27, 2018. It was discovered that 76% of people who came with depression achieved full remission from their symptoms. 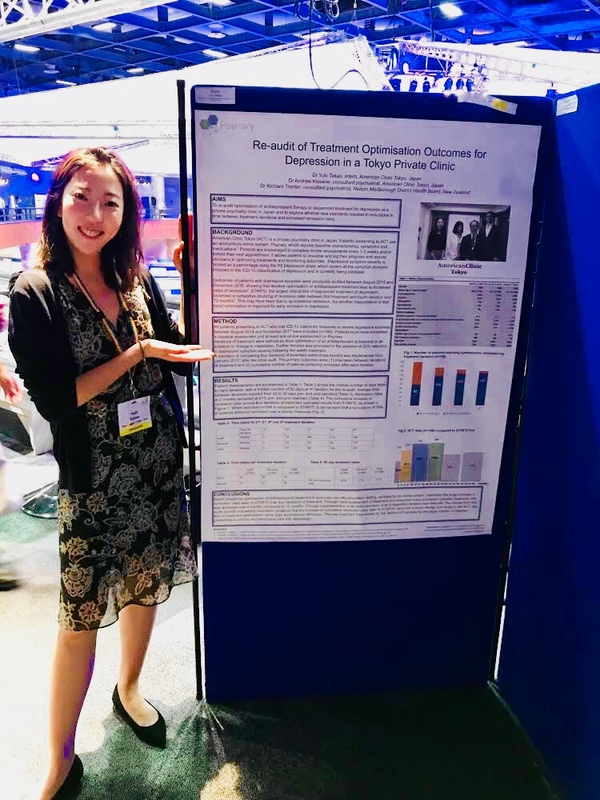 “Re-Audit of Treatment Optimisation Outcomes for Depression in a Tokyo Private Clinic” was researched and published by Dr. Yuki Takao, et al.